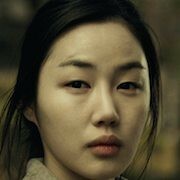 Joo-Hee (Kim Hee-Jung) is a married professor. She is stunned to learn that her husband Dong-Hyuk (Seo Tae-Hwa) is having an affair with her own student Joo-Hee (Seo Eun-A). Joo-Hee pretends she doesn't know about their relationship and invites Yeon-Mi to her home. Dong-Hyuk and Yeon-Mi, believing Joo-Hee is oblivious to their affair, continue their intimate relationship at his home. Joo-Hee though has her own plans.